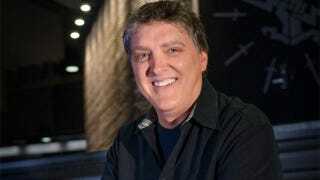 Halo Theme's Composer Fired, Says Move Was "Without Cause"
Marty O'Donnell, Bungie's in-house composer and the man responsible for Halo's iconic theme song, says he has been "terminated...without cause" by the studio. We're contacting Bungie for comment, and will update if we hear back. O'Donnell was one of the last employees still working at Bungie from its days prior to Microsoft's purchase of the company in 1999. In addition to his work on the Halo series, O'Donnell has done a ton of sound work, as well as composing music for the upcoming Destiny. For more than a decade, Marty O'Donnell filled our worlds with unforgettable sounds and soundtracks, and left an indelible mark on our fans. Today, as friends, we say goodbye. We know that wherever his journey takes him, he will always have a bright and hopeful future. We wish him luck in all his future endeavors.